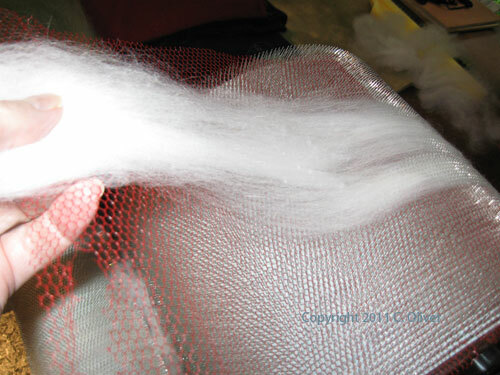 Many of our readers are fiber artists. They hook rugs, stitch, knit or crochet, weave and spin. 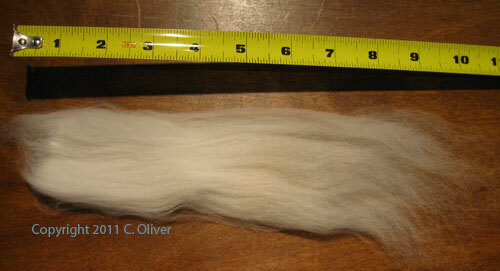 Many of the spinners eventually succumb to the romance of processing their own fiber, be it wool, angora, mohair, alpaca or some other delight. 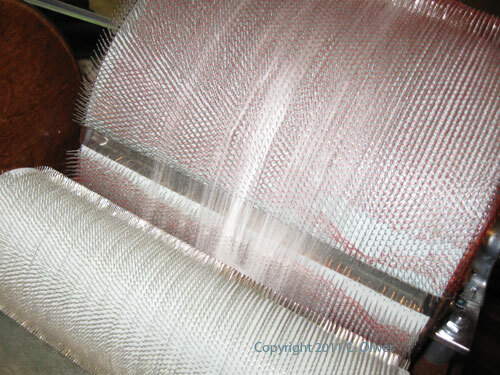 Carding is one of the first steps in processing after washing, if that is necessary. 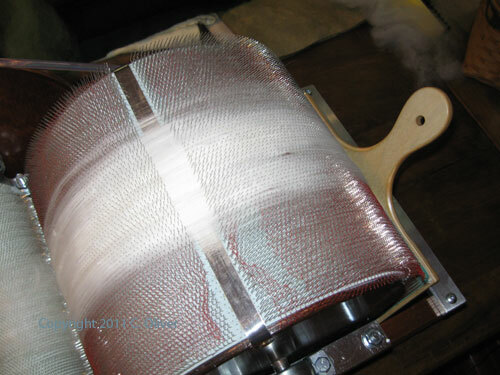 One of the most common problems they encounter is removing the carded batt from the main drum without destroying it or leaving behind lots of fiber. 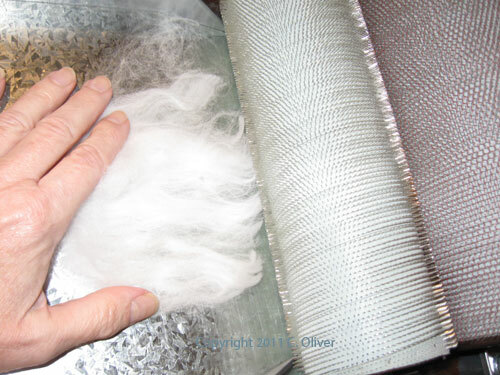 The method shown below helps a great deal with this when carding very fine fibers. I've illustrated the steps using some of my home-grown angora. 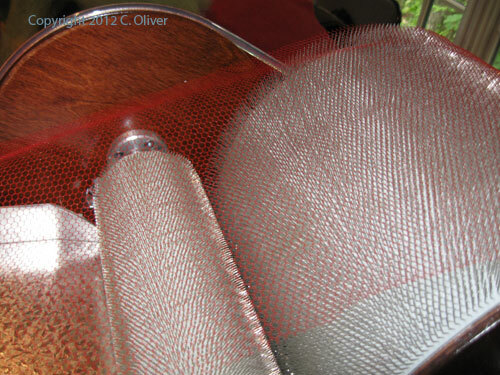 First, apply some ordinary nylon tulle, cut to fit, to the main drum by slowly placing it on top and turning slowly. 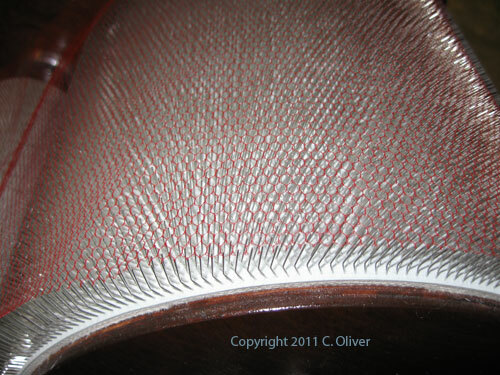 You can see that the tulle is sitting on top of the points. Do not force it down or you risk damage. Now you're ready to start carding. This is some shorn angora. Start feeding the fiber into the licker-in. The next two images show the fiber being carded. Finished? 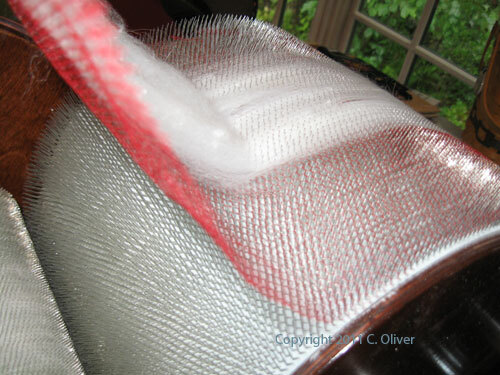 Now remove the batt by splitting it at the break in the points, then slowly and carefully lifting the tulle off the drum.